With the absolute black contrast ratio of the Pro L series, this lumen count may be deceiving. 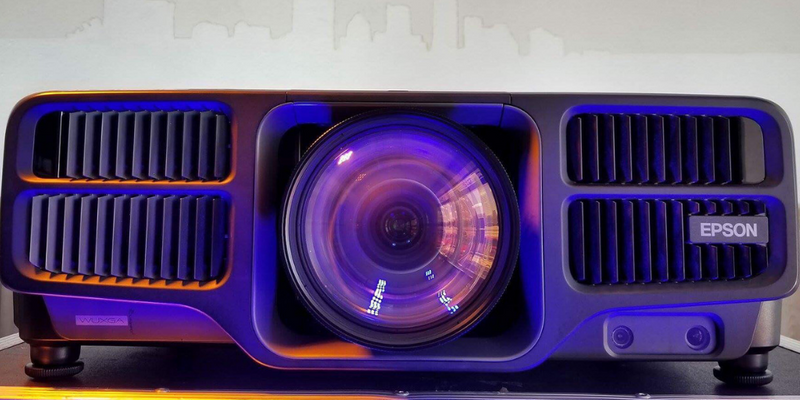 We did a side-by-side test and found that the 12,000 lumen version compares favorably with the 18K or even 20K DLP projectors that are currently in wide use in the industry. 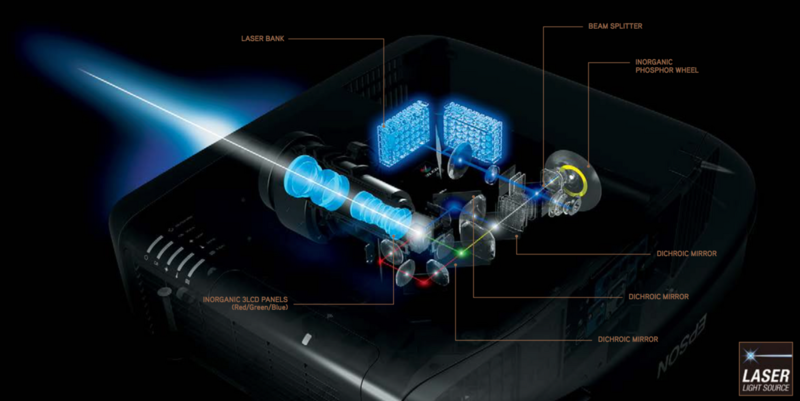 You are in for a treat if you’ve never worked with a laser projector before. First, these projectors require a much lower power draw. The L1505U 12,000 lumen model draws only 955 watts, meaning that you can put two of these on a 20A, 110v circuit. The geometry is the best we've seen, with modes ranging from quick corner correction, all the way to curved edge blending, right from the internal menu. We carry stacking/rigging cages for each of these models, making flying the projectors, or setting up a converged display a snap. We would love to set-up a demo for you at one of our warehouse locations, so call us today!